TME’s offer of measuring equipment includesHANTEK products. Among them, there is a wide range of scopometers that is portable oscilloscopes with battery supply and embedded multimeter. - DSO1062S: scopometers with the sampling of 1Gsa/s and memory of 1M points per channel and galvanically insulated oscilloscope inputs. 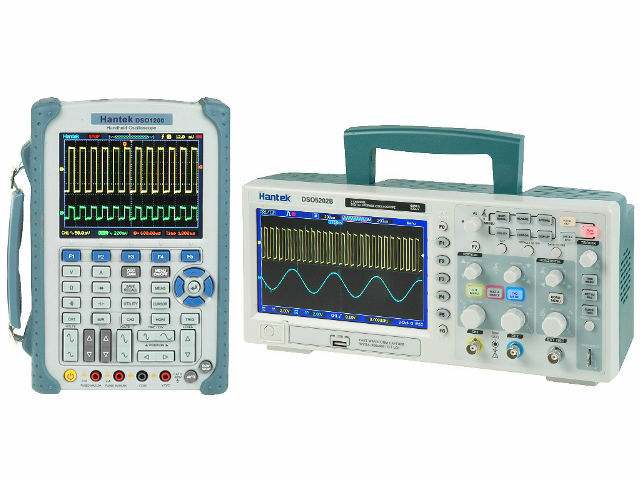 Two – channel oscilloscopes DSO5062B, DSO5102B, DSO5202B are also available. They offer sampling of 1Gsa/s and memory of 1M points per channel. - DDS-3X25: USB function generators. The offer is supplemented by T3100, PP-80, PP-150, PP-200 oscilloscope probes – a band of up to 100MHz, maximum input voltage of 600V.